Fall has fallen!! | Live Laugh Bark(at everything)! 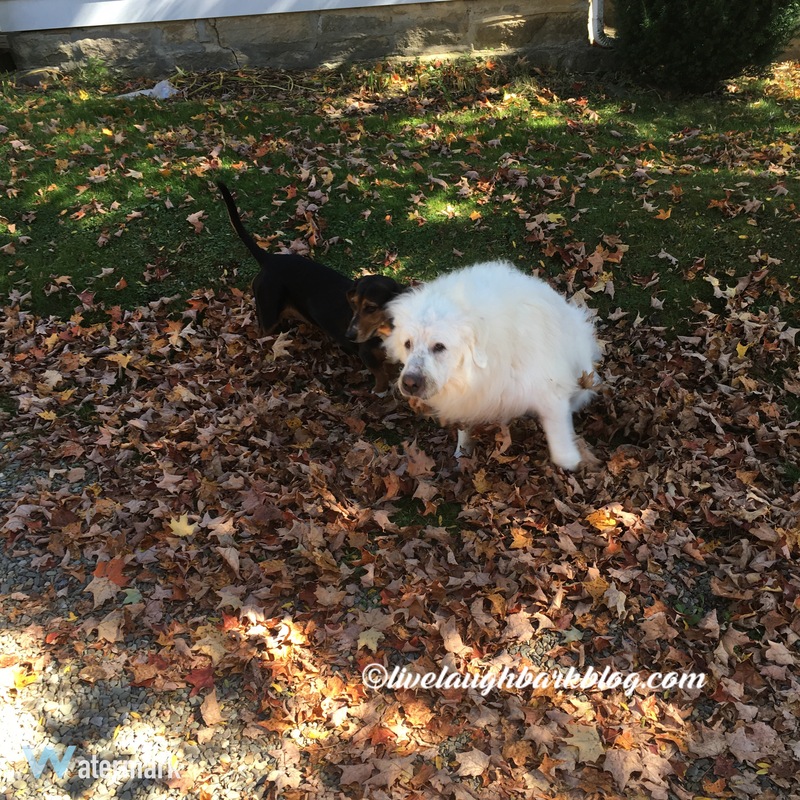 Well fall is officially here and the girls have started helping with yard work already….they have really been giving it their all!! No sis I said roll the other way!! 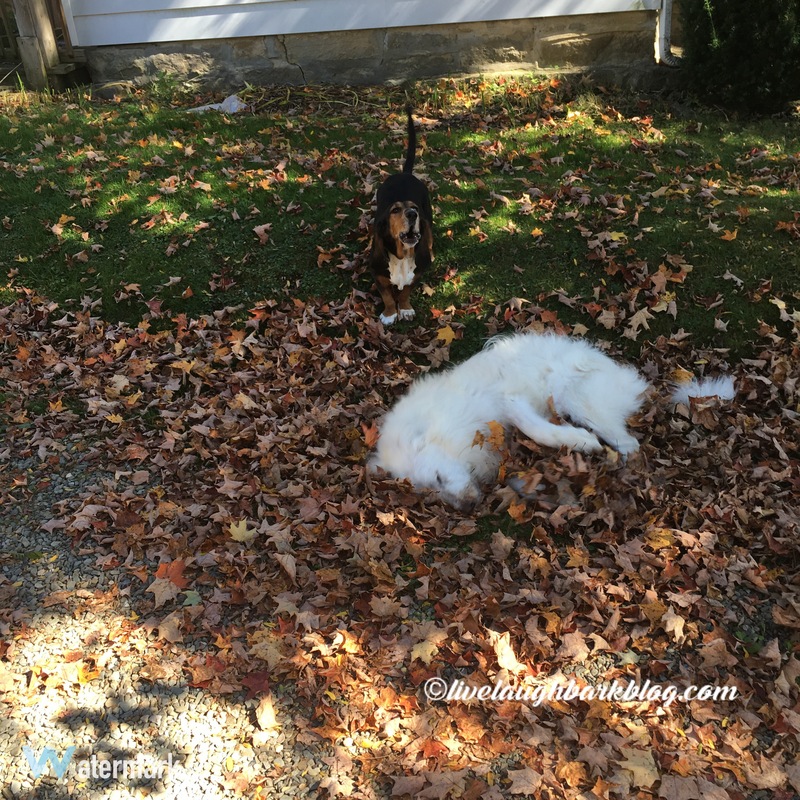 I’m gonna go find my own leaf pile…little sis is getting annoying..